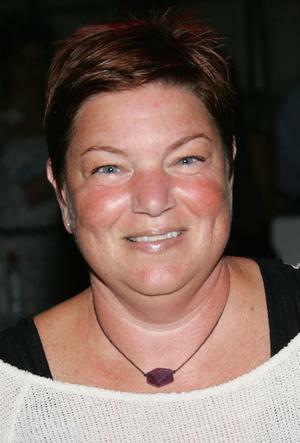 Of all the "break out" performers from the series The Facts of Life, Mindy Cohn was the most improbable. The others were all child actors with experience in performing, but Cohn never trained as an actress and knew little or nothing about the series when she first came to the attention of the producers. Born in Los Angeles, she was an ordinary high school student attending the Harvard-Westlake School when the makers of The Facts of Life, planning their first season, arrived there to observe and photograph an actual girls' school in operation. It was reportedly series star Charlotte Rae who first spotted Cohn, a student at the school, entertaining some friends, and brought her to the attention of the producers. All involved agreed that she was a "natural," one of those uncanny, untrained individuals who simply looked good and memorable and funny in front of the camera, in a manner comparable to the child performers they had already cast, and with that ability added something extra special in terms of verisimilitude -- and a good deal of wry humor -- to the cast they already had. And so Cohn was cast as Natalie Green and was one of the three original young first-season cast members to get spotlighted when the program moved to its second season, achieving stardom in the course of a seven-season run for the series. One very ironic moment came later in the run of the show when Cohn, who had always been on the heavy side and whose character had been conceived with that as an attribute, began to slim down. According to Cohn, in an interview for the DVD release of the first two seasons, the producers actually asked her to put the weight back on, if possible; when she refused, they came up with a compromise by having her character dress in clothes that made her look like she was still overweight. Since the series ended production, she has somewhat limited her acting work while earning a degree in cultural anthropology. Cohn has specifically taken parts that were devised to capitalize on her work from the series and has still found enough roles to keep her occupied. She has also been extremely busy as a voice artist, including portraying the role of Velma on Scooby-Doo.